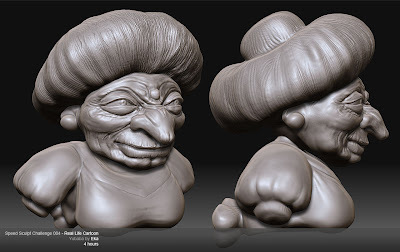 Yubaba from Spirited Away at 4 hours of sculpting. 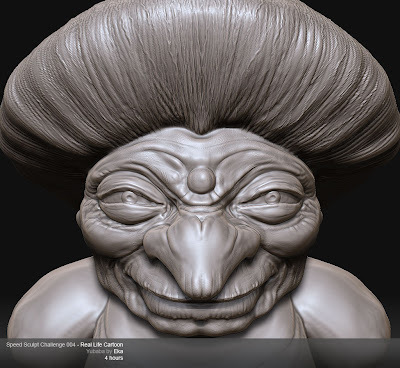 I started on the new Speed Sculpt Challenge at 3dtotal. The topic is realistic cartoon. 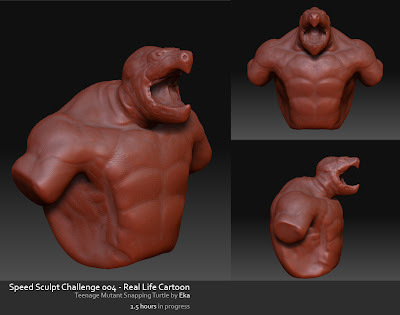 Its a four hour challenge where you take their provided generic base mesh and speed sculpt it into a realistic interpertation of a cartoon character.